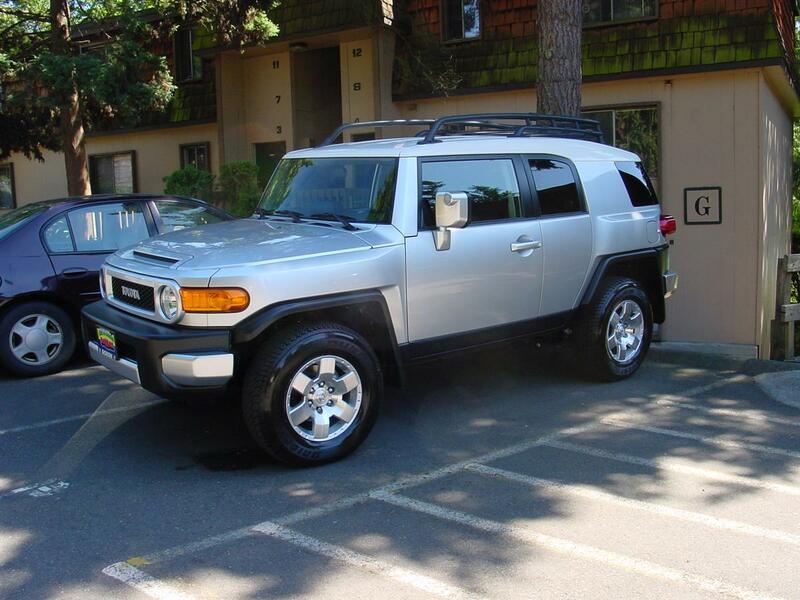 Toyota FJ Cruiser Forum > Toyota FJ Cruiser Forums Site Functions > Toyota FJ Cruiser News > Rig of the Month January 2018: Corey!!! Rig of the Month January 2018: Corey!!! We'd like to congratulate Corey for having the January 2018 Rig of the Month! Corey: I hit the big 60 last spring, I have an older brother and sister, and I have two sons in their 30s. 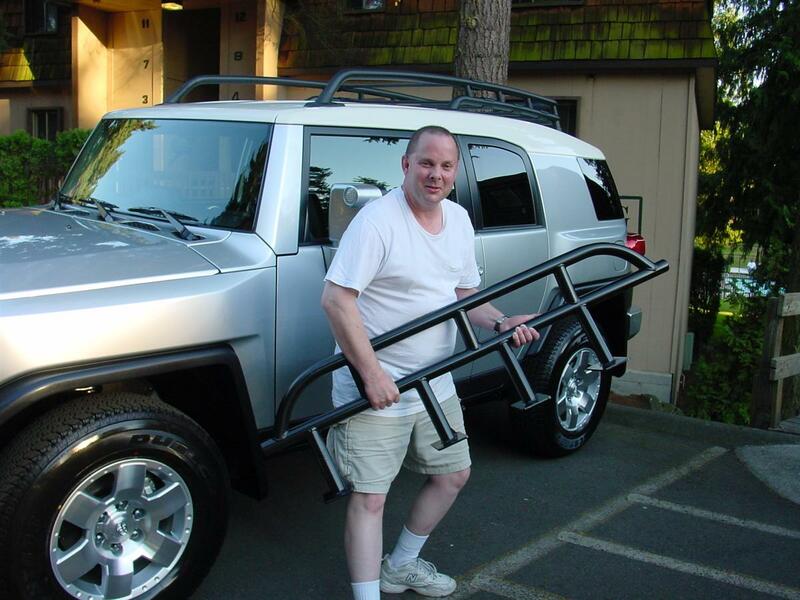 I grew up in West Seattle, but I currently reside in Auburn, WA where I have been since around 1991. 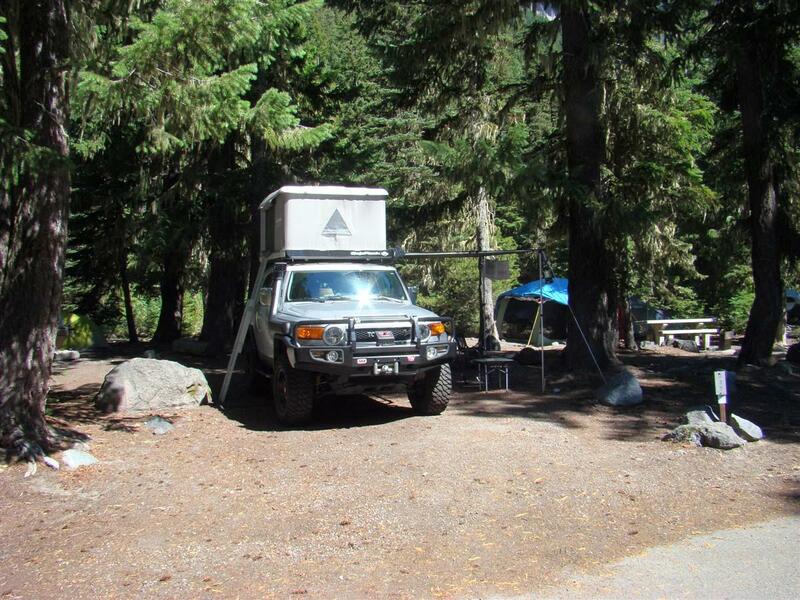 I like the Auburn area as it is not far from the little town of Greenwater where I like to explore and camp, as it is a huge area with old growth logging roads, and also very close to Mount Rainier. I also work for the Boeing company, and may be retiring in a few years. More time for camping and exploring places further away. 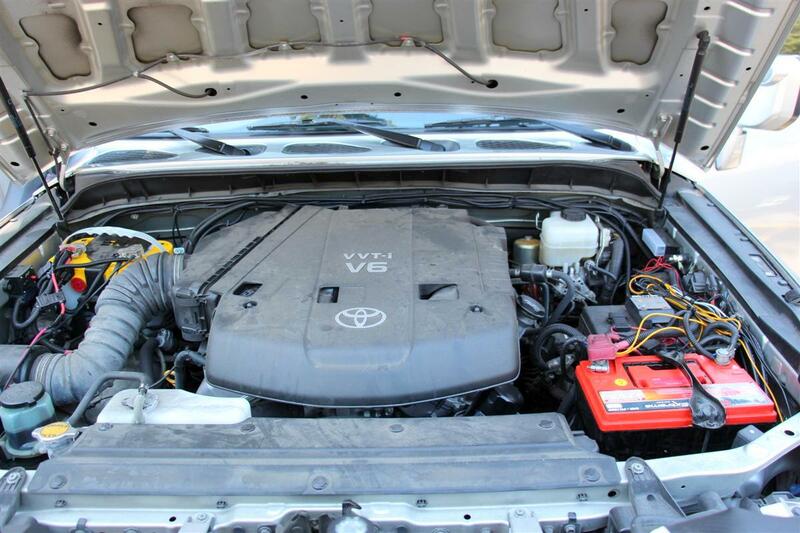 Corey: I had a 1991 4Runner I bought in 1998, and around 2005 the engine started going out with a burnt valve, and some other problems. 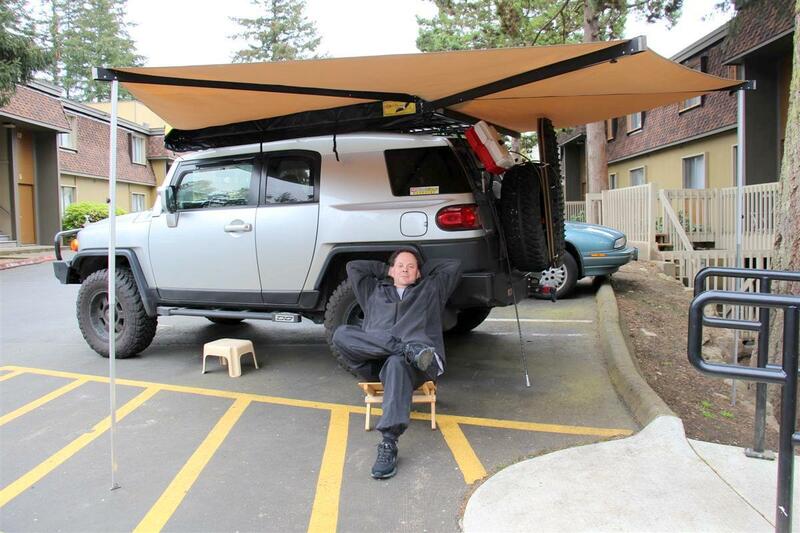 I was seriously thinking about a new Tacoma at the time, then I read about the new FJ Cruiser coming on the market later, and that led me to the forum here. Went to my dealer in the spring of 2006 and custom ordered one site unseen so to speak. Took delivery of it on July the 24th of 2006. 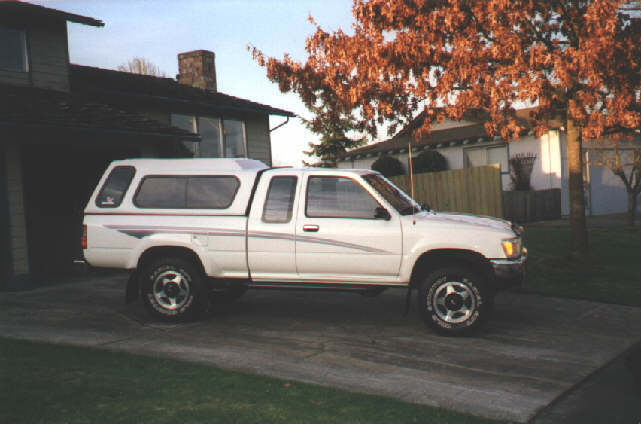 Corey: My first 4x4 was a 1990 Toyota Xtracab with the 22RE engine I had bought brand new. 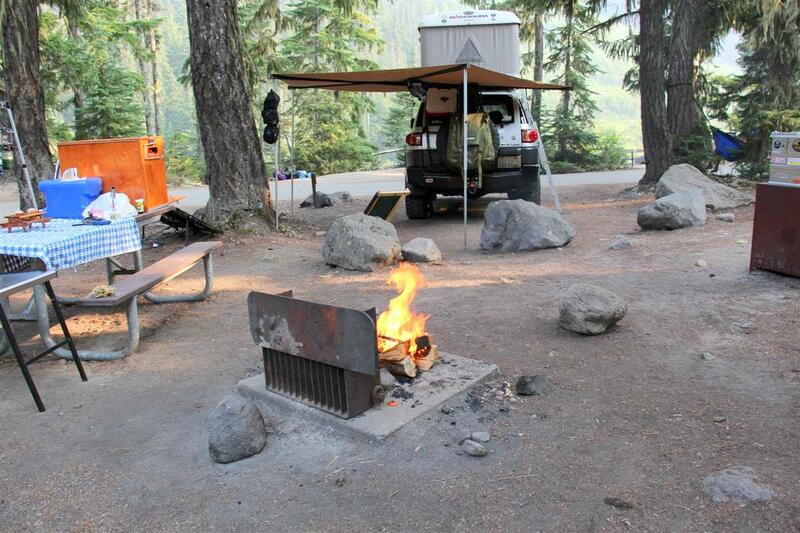 Prior to that I had a 1979 2WD Toyota truck that I pulled a tent trailer with, and explored the Greenwater area with. 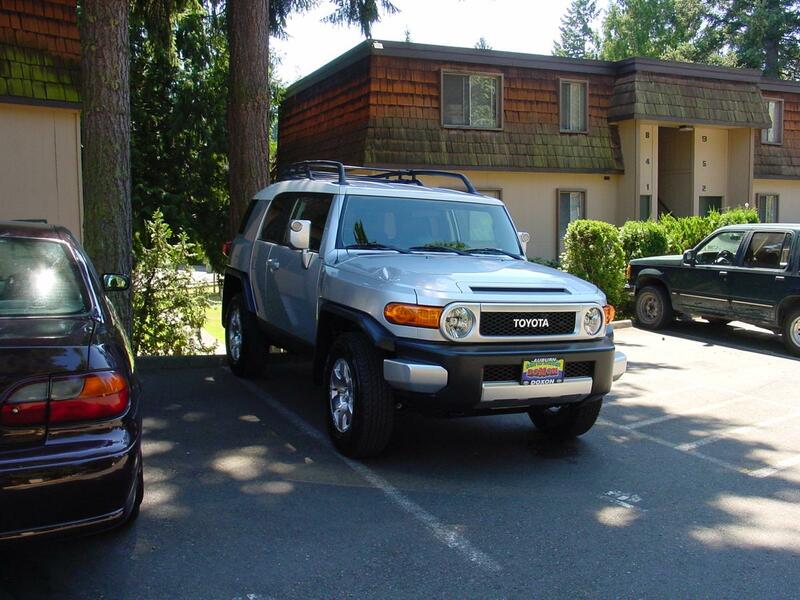 Sadly a drunk driver totaled the 4x4 in 1998, and that led me to getting the 4Runner. Hayden: You’re one of the forum’s earlier members, how did you find out the forum and what made you decide to join? 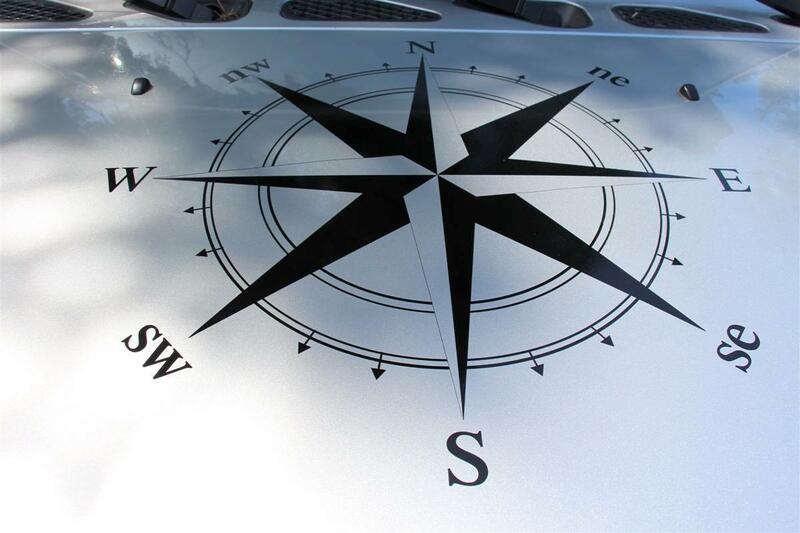 Corey: After I got interested in getting the FJ Cruiser Google came into play looking for online forums to find out more information on FJs. 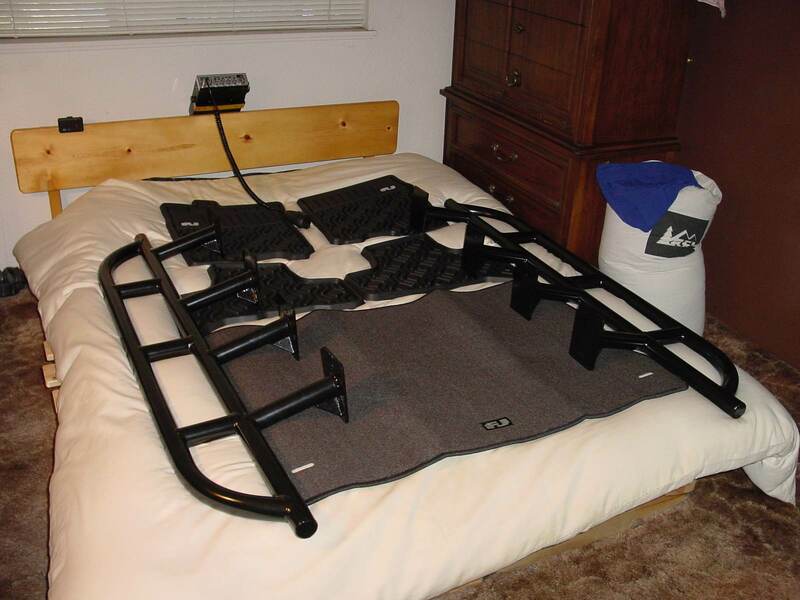 Thanks to the forum I found aftermarket and Toyota suppliers that made stuff for the FJs, and I already had parts ordered before I took delivery of the FJ. 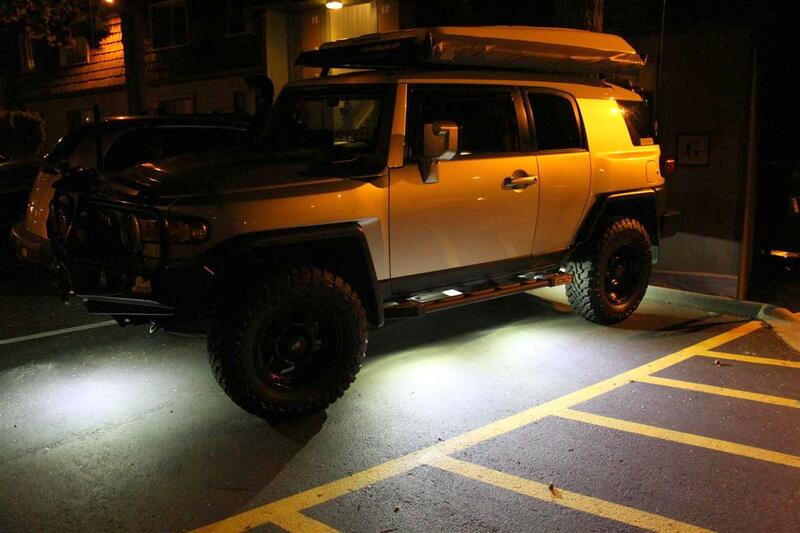 Below was a picture I posted on the forum here before the FJ made its voyage across the seas to homeport. 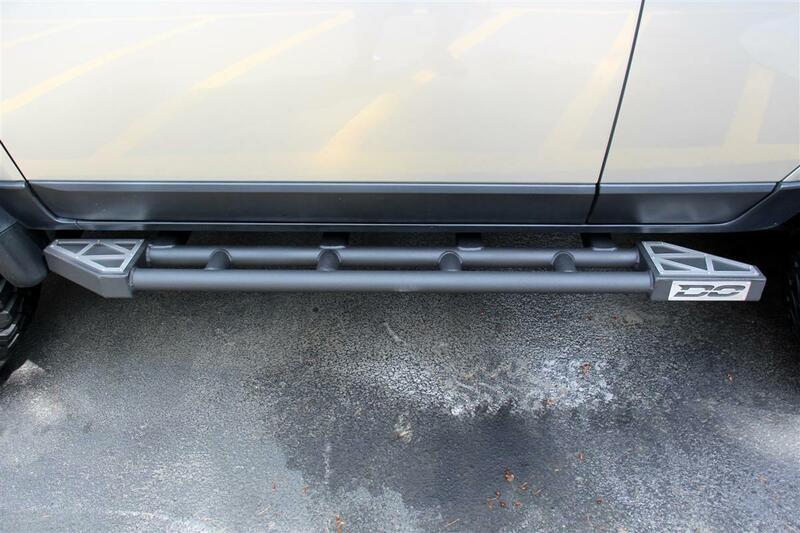 Front and rear ARB bumpers, Demello Dominator sliderz. Old Man Emu front and rear suspension, Total Chaos upper control arms, Pro Comp 7089 wheels, and Toyo Open Country MTs sized at 285x70x17. Engine is bone stock with the exception of a Safari snorkel for cleaner air intake when traveling on forest roads. ARB Intensity 7” flood and spot lights, ARB Intensity light bar flood and spots, and Rigid A Series cool white 6 light rock lights. Dual batteries under the hood, second battery is to feed the fridge with power, and I have a cable wired to it to hook up a solar panel when camped to keep it charged up. 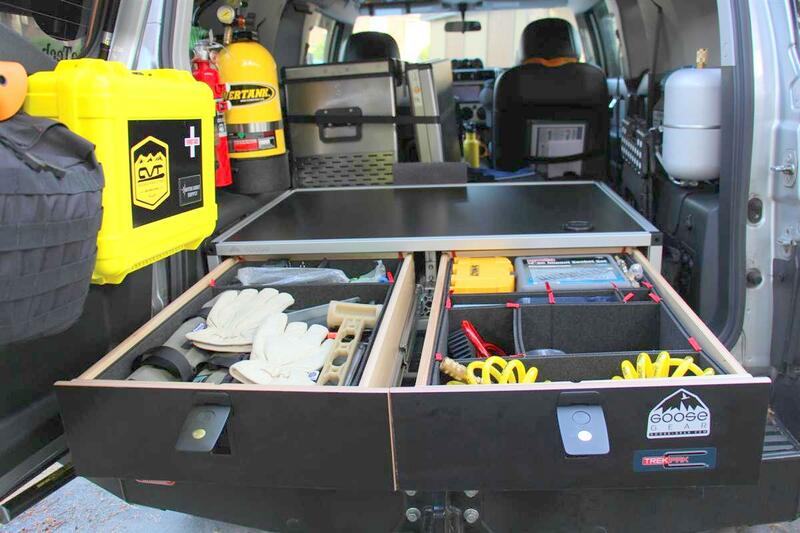 BajaRack Utility rack, Autohome Maggiolina Airlander roof top tent, Eezi-Awn Bat 270 awning, Rotopax fuel/water fastened to a BajaRack ladder, compass decal made by a local Fast Signs outlet. 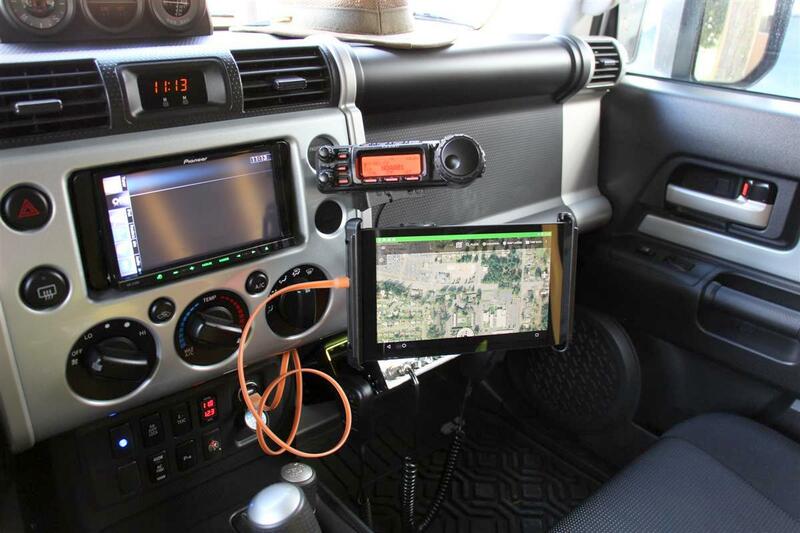 Pioneer DVD stereo with navigation, Springtail Solutions rear door table rack, Springtail side racks on both sides. 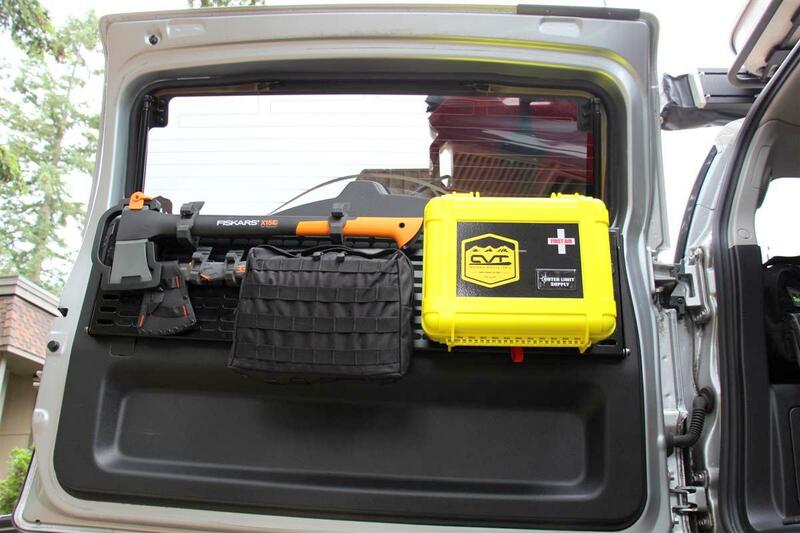 Yaesu 757D ham radio, Cobra 29 Nightwatch CB radio, Nvidia Shield tablet for navigation, National Luna Weekender 50 Twin Fridge/Freezer, ARB Twin air compressor with a one gallon tank, Powertank CO2 tank, Outer Limit Weekend Warrior first aid kit, fire extinguisher, Fiskars axe, Gerber hatchet. 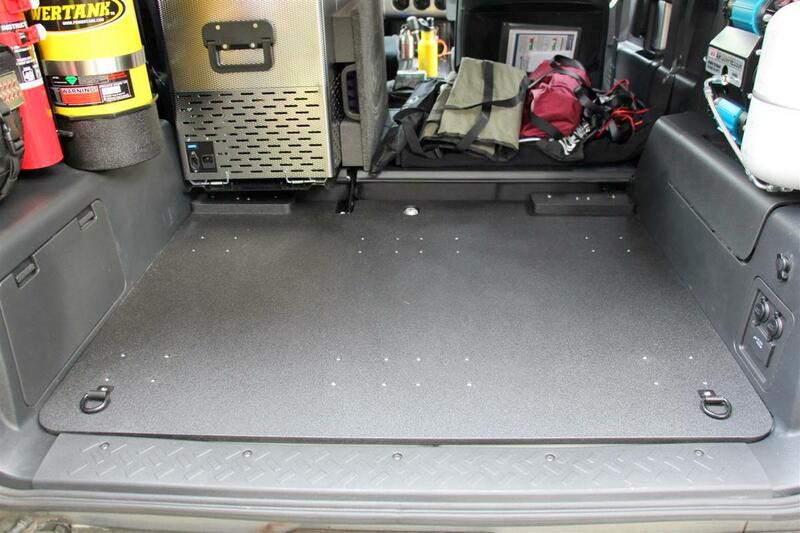 Replaced an old wood cargobox that was designed for my 4Runner a few months back with a Goose Gear one that is mounted to their FJC plate system to secure it to the floor. 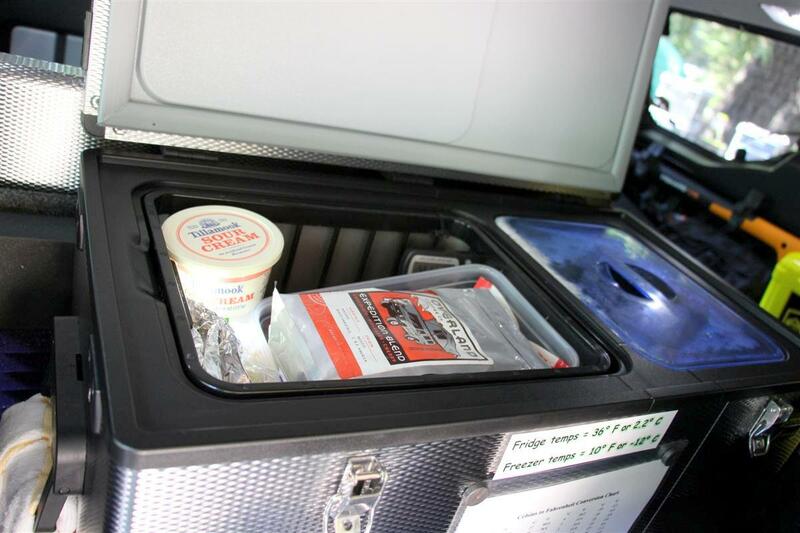 Also added in a Tembo Tusk fridge slide not for a fridge, but for my new Trail Kitchen chuckbox so I can cook off of it there if I do not want to put the chuckbox on one of my Eezi-Awn K9 camping tables. Warn XD9000 winch, Masterpull synthetic line, Factor 55 Prolink thimble, Factor 55 Hawse fairlead, and a Factor 55 rear receiver hitch for a shackle. 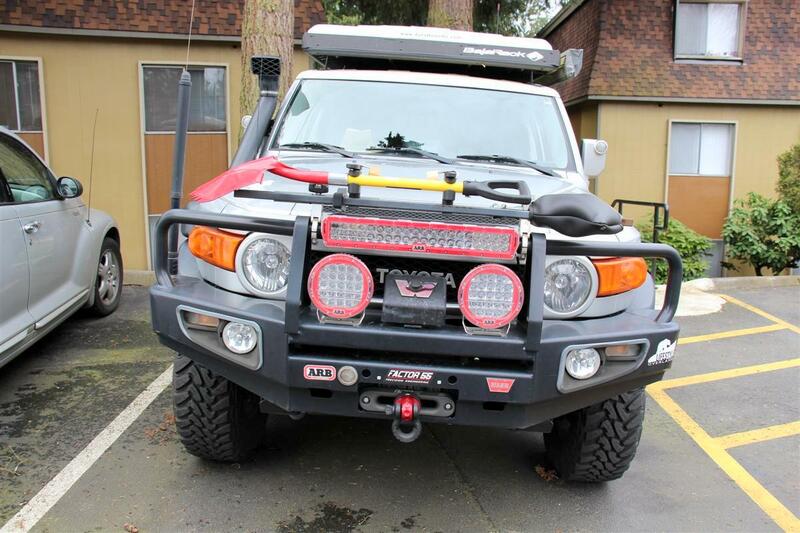 Also a Hi-Lift jack mounted to the ARB bumper with Four Trek mounts, and a Krazy Beaver shovel mounted to the Hi-Lift via Bomber Products mounts. 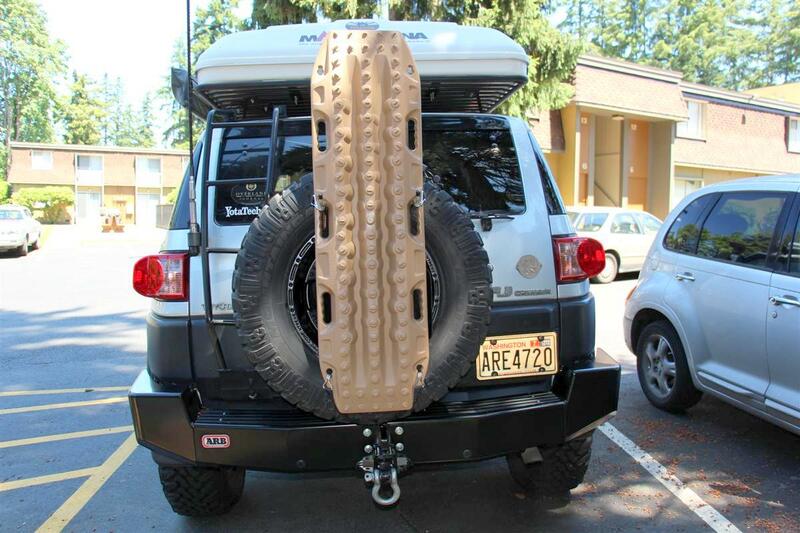 And last but not least, two sets of Maxtrax mounted to the spare tire with Maxtrax’s spare tire mount kit. 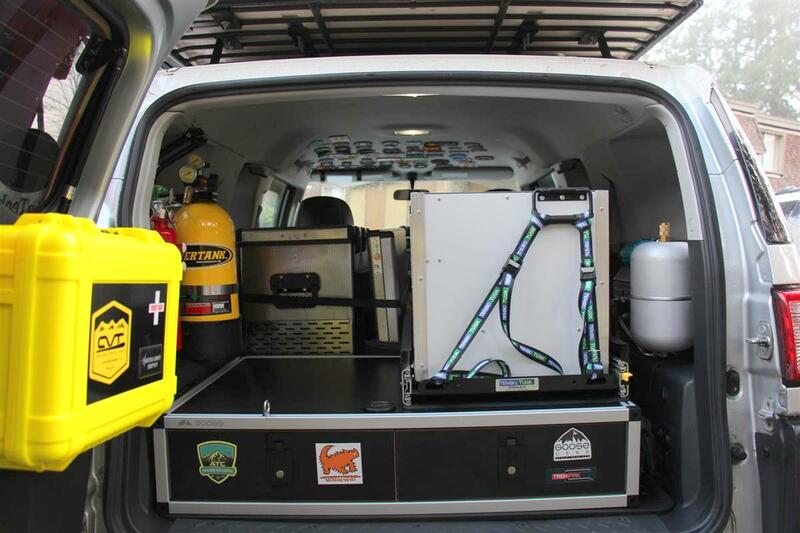 Corey: I can really only think of one that really sticks out, and that would be the Goose Gear plate system and cargobox with the fridge slide and chuckbox on it that is in a picture above. 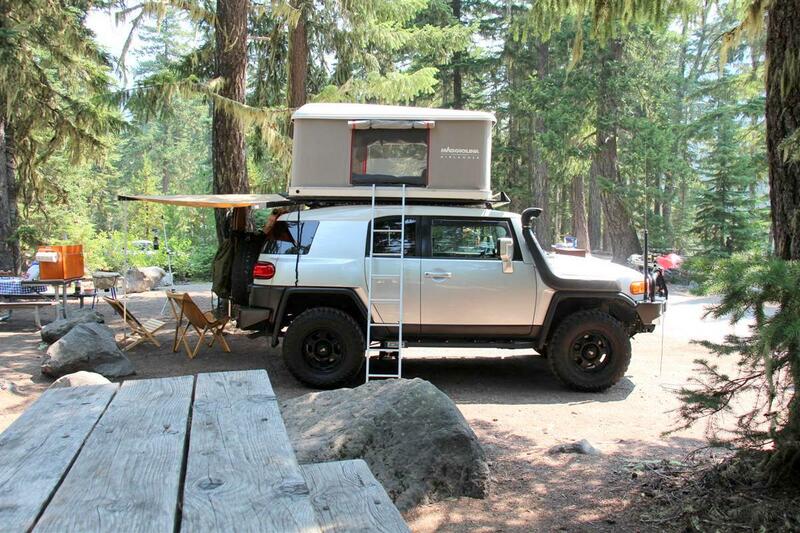 Corey: I would say both the fridge and the roof top tent. If you like to camp, the tent is so easy to setup, and you are up off the ground not tracking in dirt like a traditional ground tent. And with a 12v fridge you never have to buy ice or deal with wet/soggy food. 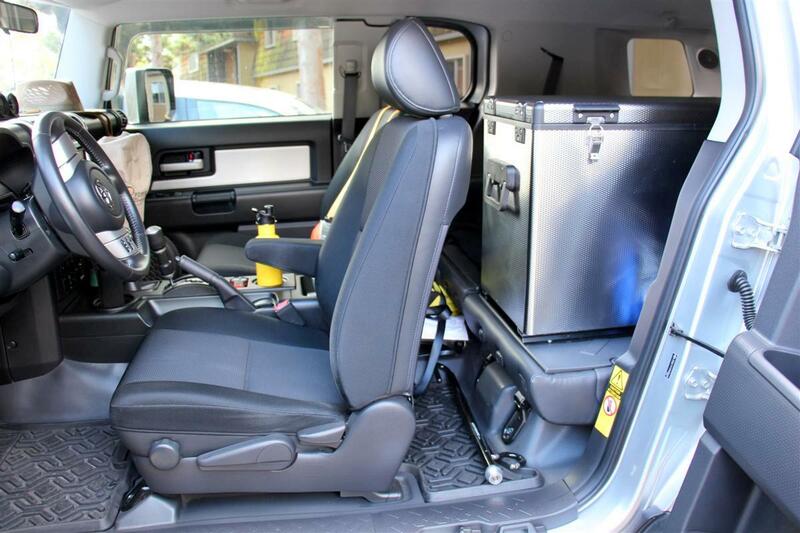 Plus if you get a combo like mine, not only do you have a fridge on one side, but also a freezer so you can whip out ice cream or ice cream bars in the middle of a hot summer outing. Corey: To be honest with you, I cannot really think of any. I try to do my research on a mod I am interested it doing, and plan it out to look/work in the best possible way for me. Corey: The Old Man Emu lift has been on the rig since early 2007, and I may upgrade to their BP 51 setup. Also I will be adding the Powertray under the hood to hold a Blue Sea 6 outlet fuse box to cleanup my rats nest of wires on the Odyssey Extreme starting battery. All three sets of my ARB and Rigid lights are wired to the main battery, along with some other accessories. Getting them off of the battery and wired to the Blue Sea fuse box will really clean up that mess. I figure I may have that done by spring, and will update my build thread on the forum here with the information. Corey: I mainly like to take it offroad to the Greenwater area as that place is massive, and as long as I have been exploring it since the mid 80s, I have not covered it all. Every time I go there I find a new camping spot to return to someday. Plus the views from there of Mount Rainier are awesome. Corey: Probably to Tahuya someday. A lot of members on the forum here frequent there. 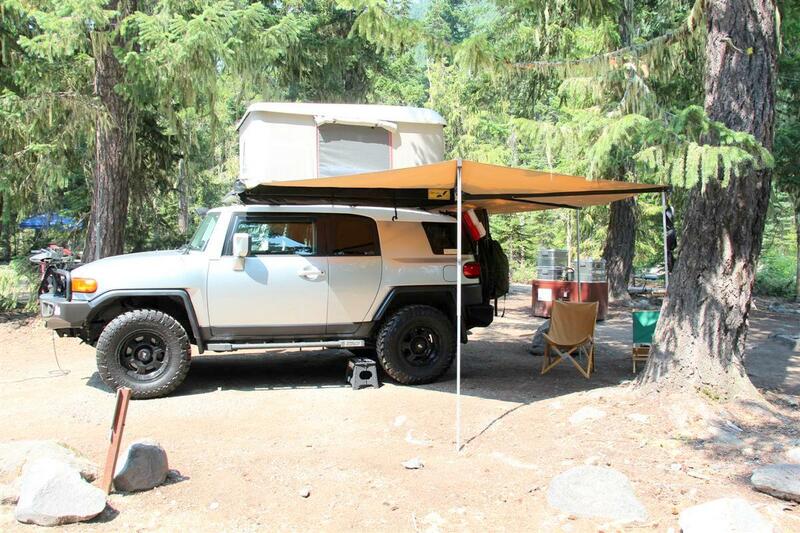 Corey: Member KD7NAC_07FJ (Wayne) had posted a picture of his rig with the same tent I ended up buying after talking with him about his. So you might say he inspired me to get it, and to get back into camping again after taking about ten years off from doing any camping. He was also very helpful in the dual battery kit I selected, and he even came over and helped wire in two 12v plugs in the rear above the FJs 110v outlet. There have been many others on the forum too that have helped drain my wallet. 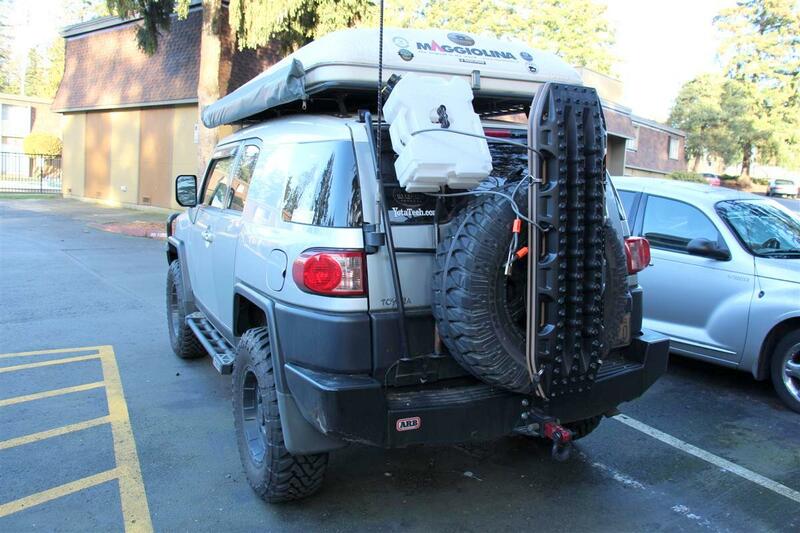 Hayden: You definitely have an overland style rig, what was your reasoning for going this direction with your build? Corey: Well I was all set to just build it up for a weekend exploring the old growth forest thing, that is until I saw Wayne’s tent that I mentioned above. It was all downhill after that, I knew I wanted to get back into camping a lot more after adding the tent, then other camping accessories to the rig. I already had the old ARB fridge in the rig before I got the tent, so I was half way there. 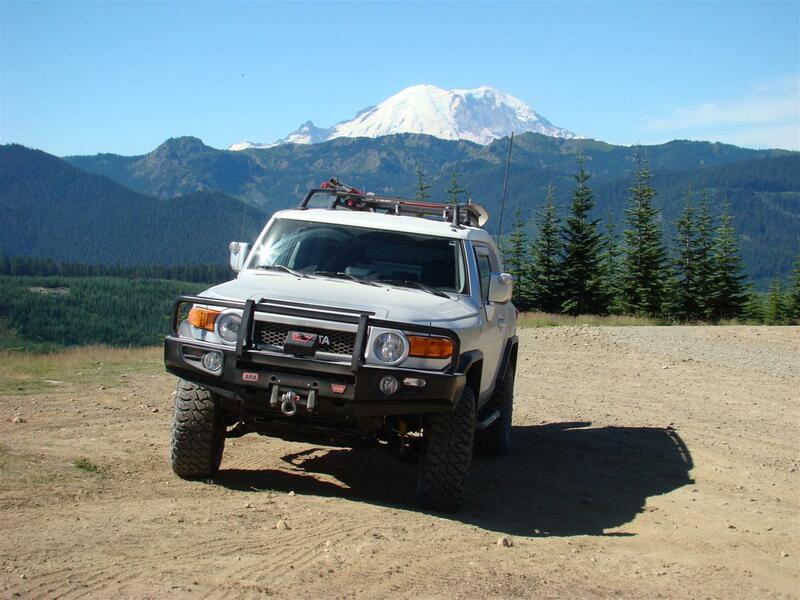 Overland Journal too has been a big influence on the direction I took with my FJ. Corey: Probably waking up in the morning after a great nights sleep in the mountains in my roof top tent, and realizing I am up off the ground several feet, and it feels like I am in a tree fort. Corey: I think we got a heck of a rig when Toyota released these back in the spring of 2006, they are a very unique vehicle, and often criticized by those who do not have any experience with them. Also here lastly is a link to my build thread from the very beginning. BOBTAILFJ, tomwill55, Winterpeg and 16 others like this. Re: Rig of the Month January 2018: Corey!!! Congrats Corey! You have the ultimate expo rig!!! It appears to work very well for you, hope you keep exploring and posting adventure pics in your build. Awesome and quite functional rig. Congrats Cory! I’ve gotten a few ideas from your build.